It just doesn't get much better than playing Florida's Legends of Golf Trail which includes 162 holes of magnificent golf designed by Jack Nicklaus, Arnold Palmer, Tom Watson and Larry Packard at three award winning resorts with excellent stay and play packages, 1250 spacious villas and homes, first class amenities, excellent dining options, and first class service. Under the management of Salamander Hotels & Resorts, the Legends of Golf Trail traverses 200 miles from Atlantic coast beaches to the Gulf of Mexico and includes nine signature designed courses which are only a 90 minute drive between at each of the three multi-course resorts. 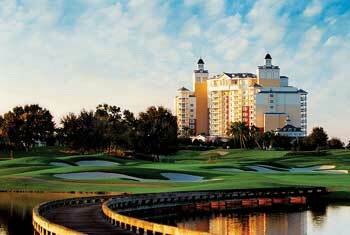 The Grand Golf Resorts include Innisbrook Resort near Tampa, Reunion Resort in Orlando, and Hammock Beach Resort in Palm Coast and each is home to multiple award winning courses that are some of the best golf courses in Florida. Below is a link to our review of most of the courses on the Legends of Golf Trail and a link to our review of each of the three fantastic resorts. Both challenging and beautiful, Arnold Palmer's course at the outstanding Reunion Resort is highlighted by expansive waste area, strategically placed bunkers, and generously wide fairways. Arnold utilized a combination of natural rolling terrain with mature trees, a pristine natural preserve, and extensive landscaping to provide a varied menu of shot-making opportunities across all 18 holes. 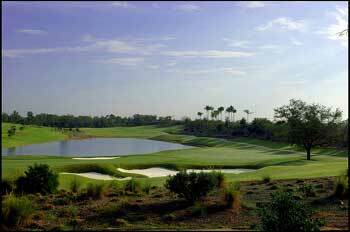 One of the great things about staying at the outstanding Reunion Resort is you can play an Arnold Palmer, Jack Nicklaus, and Tom Watson course - each of which is fantastic with it's own unique personality and characteristics. The Watson Course offers undulating terrain highlighted by fast and firm wide rolling fairways with elevation changes as much as 45 feet from tee to green. The Watson courses offers beauty and challenge and demands strategic and well thought out approach shots and a creative short game. Wow, what a fun and challenging Tom Watson's links style course with over 140 bunkers, rolling and contoured fairways, water on 15 holes, demanding green complexes, and near perfect conditions. It's not surprising that The Conservatory Course has won a number of awards and is ranked as the hardest course in Florida - rating of 150! Choose from any of the 7 tee boxes and don't bite off more than you can chew and you'll have a blast. 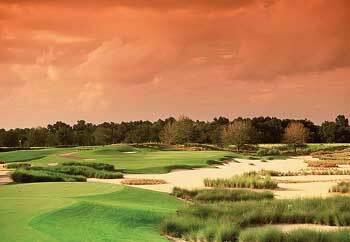 You need to be a member or guest at the outstanding Hammock Beach Resort to play this great course. Florida's only ocean-side golf course since the 1920s, The Ocean Course is one of those courses that you need to add to your "Let's Play a Beautiful Ocean Course" list. Six holes play along the Atlantic Ocean and the prevailing winds, sprawling white sand bunkers, water on 11 holes, and 79 bunkers can all cause you to have to pay for the drinks in the 19th hole. A great course with excellent conditions, a reasonable rate, top notch service, and a fantastic resort (Hammock Beach Resort) with everything you would expect from a first class operation. 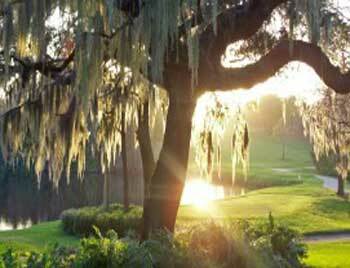 Tree-lined fairways and rolling terrain define the course and you can add to that stunning scenery, very demanding holes, lakes and ponds, and abundant wildlife including fox squirrels, bald eagles, alligators, blue herons, and many other types of water fowl. When we played the conditions were absolutely perfect with excellent putting surfaces, lush fairways, great sand, and thick challenging roughs. There are several memorable holes but the last four - Snake Bite, Moccasin, The Rattler, and The Copperhead - have a nasty bite with strategically placed bunkers, challenging green complexes, risk reward opportunities, dog legs with tight fairways, and some tough approach shots. With tight fairways, intimidating water hazards, abundant bunkers, and extraordinary elevation changes. The Island Course has been ranked among the country's top 50 resort courses by Golf Digest and is a real joy to play - demanding but fair, excellent conditions, and some fantastic holes. The Island's first six holes are bordered by beautiful Lake Innisbrook and lateral water hazards that require pinpoint accuracy on tee shots and approaches. 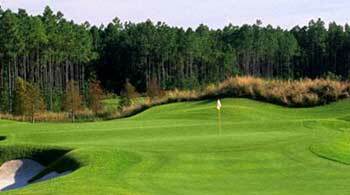 The middle six holes feature rolling hills dominated by cypress and pine trees. The final third of this course is designed to reward the bold and penalize the errant golf shot. 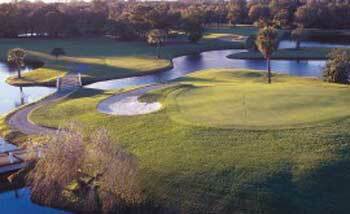 The North Course has undulating and rolling tree lined fairways, well bunkered greens, and lots of water. North puts a premium on the approach shots and putting. 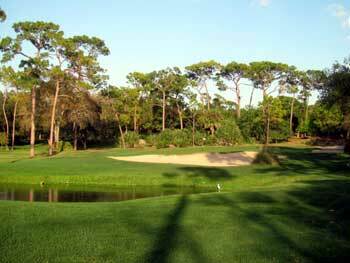 Although the North Course is short from tee boxes it is Innisbrook's most challenging course and known for its daunting par 3s. Eleven holes at North present water hazards, making club selection a critical decision when trying to break par. 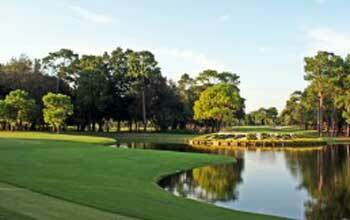 The North Course was one of our favorites at Innisbrook. The South Course at Innisbrook Resort has it's own unique personality and characteristics that are very different from the other three courses. The first few holes on the South course are tight and tree lined while the rest of the course is reminiscent of a links-style design, both in terms of rolling terrain and numerous fairway bunkering. This 18 is typically regarded as the easiest of the four courses but it's no walk in the park. 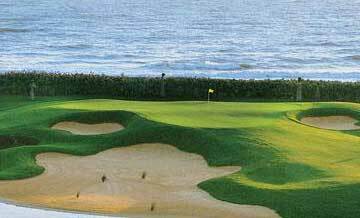 You'll find some huge waste bunkers, a total of 10 water hazards, undulating fairways with mounding that can cause uneven lies, and the ever present Gulf of Mexico breezes that can play havoc with your golf shots.